South Bank Parklands looks stunning for the month of April decorated with thousands of ruby red lanterns to celebrate the 21st birthday of the Buddha Birth Day Festival. In this the Year of the Rooster, the three-day event organised by the Chung-Tian Buddhist Temple, commemorates Australia’s harmonious diversity and provides visitors with a rich and memorable cultural experience. The 2,000+ red Chinese lanterns which are now LED has ensured that the Festival is now the largest accredited climate friendly event in the Southern Hemisphere. From Lion dances to light offerings to blessing ceremonies and a dragon boat regatta to multicultural parades to fireworks and a nightly vegetarian food market there are so many opportunities to experience a diverse range of cultural customs and activities during the festival. 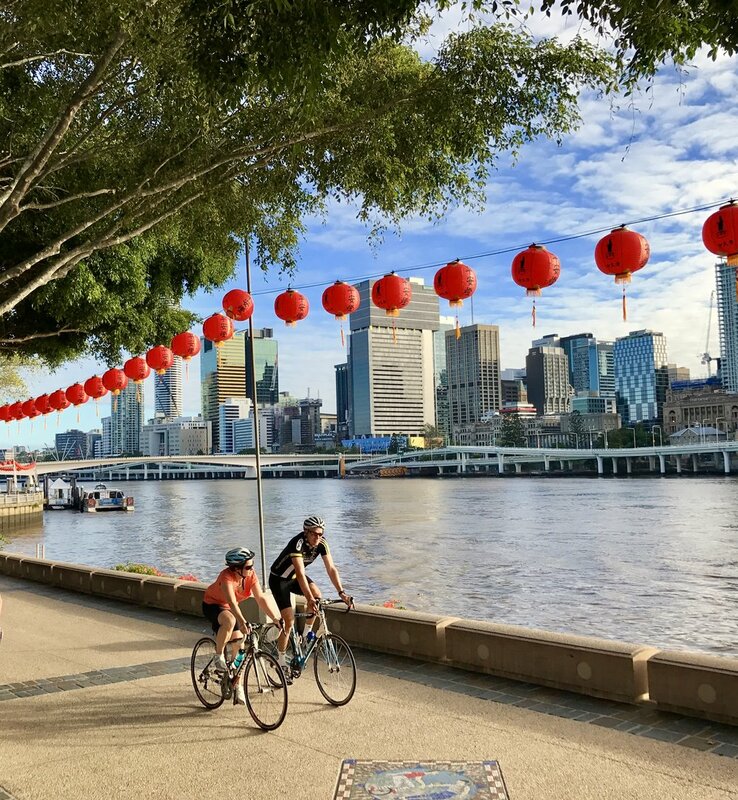 Make your way to South Bank Parklands and follow the ruby red lanterns thru the Grand Arbour to the Piazza and from Streets Beach thru the Arbour as well as along Clem Jones Promenade - you won't miss their dazzling beauty by day or night. Have you visited South Bank Parklands and admired the lanterns? Let me know what you think. If you haven't they will bedazzling us till April 30.